In the settings bellow you can enable or disable the quick product view and quick cart view. 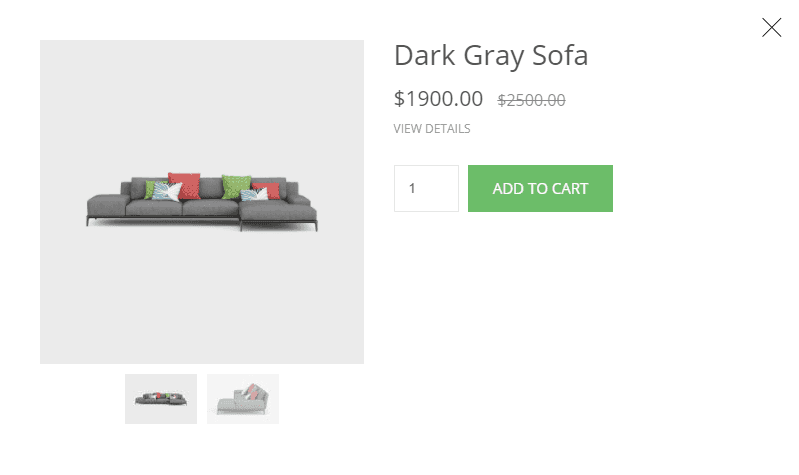 Quick product view allows your customers to have a view of the product images, prices and variations within the same page. 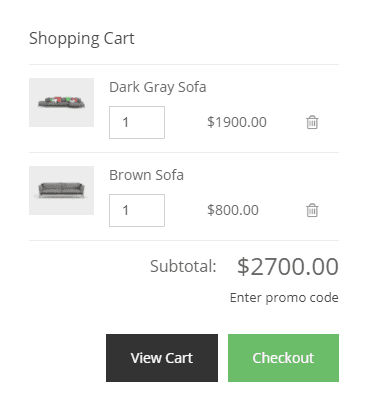 The quick cart view allows you to view the current products added to your cart, adjust quantity and quickly checkout with your order.